The Department of Communication Arts leads initiative to archive history of performing arts in the region. In her debut lecture, Gebara gave a historical summary of performative dance. The Arab world has a rich history of performance, from poetry readings to musicals, plays and dance recitals. Yet there have been few records of this history available for scholars interested in studying it – until now. The Department of Communication Arts has launched a project to create an archive of performance art in the Arab world in a mission to make LAU a hub for researchers interested in the field. The project is the brainchild of Assistant Professor and Associate Chair of Dance Dr. Nadra Assaf and Assistant Professor of Music Dr. Amr Selim. “Dr. Selim and I have been doing a lot of research about art in the Arab world, and we usually find nothing when it comes to records and documents,” said Dr. Assaf. “There are no archives.” She noted that as it stands now, relatives of artists are usually the ones who own any primary materials available. 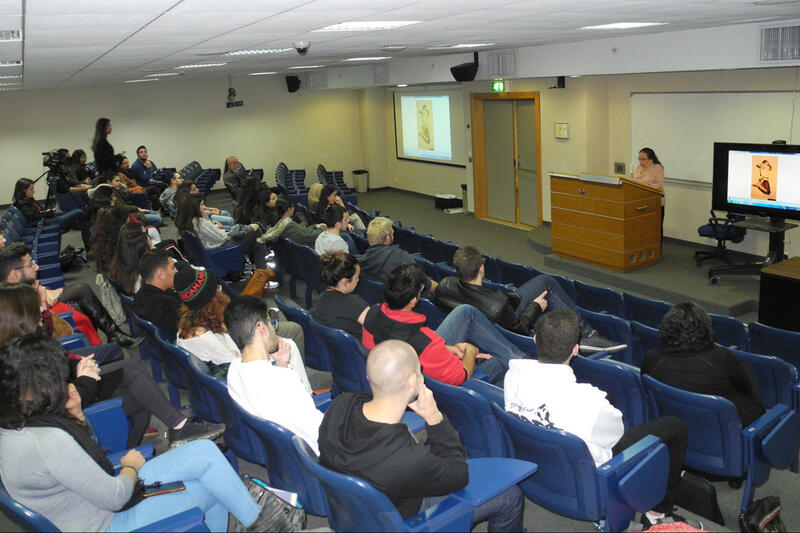 Dr. Assaf said that the first step she and Dr. Selim took was to ask local artists to give lectures about their experiences, which will be filmed and kept at LAU. The project officially launched on January 24 with a lecture series by world-renowned dancer Georgette Gebara. The six-part series covers women in dance, the expression of identity and the preservation of traditions, interspersed with anecdotes and photographs from Gebara’s long and impressive career as a prima ballerina and teacher. In her debut lecture, Gebara – who was honored by LAU in 2018 – gave a historical summary of performative dance, taking her audience on a journey from the origins of art to how it became a medium of social expression. “This archive will be a significant addition to our exchange programs; we are hoping that LAU will become the hub for all researchers working on the arts of this region,” he added. Gebara’s next lecture – Big Renovators: Gender Perspective – will take place on February 21 on Byblos campus. The Department of Communication Arts offers a BA and a minor in performing arts that cover acting, voice training, body movement, writing, technical skills, and crafting with lights. The program also prepares students for graduate studies in the field.